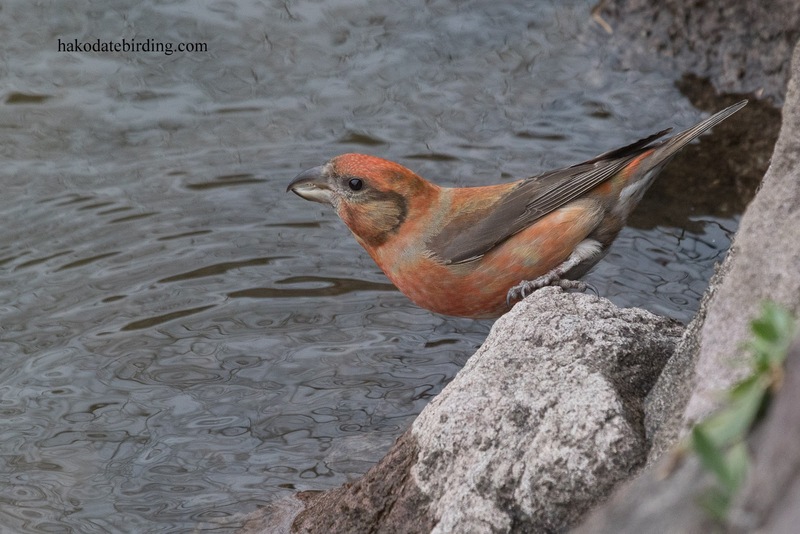 There was a small flock of about 15 Crossbill. I haven't seen many of these this winter/spring. As you can see above they came down for a (very) quick drink but most of the time they were high up in the trees. Hopefully the flock will stick around a while longer. 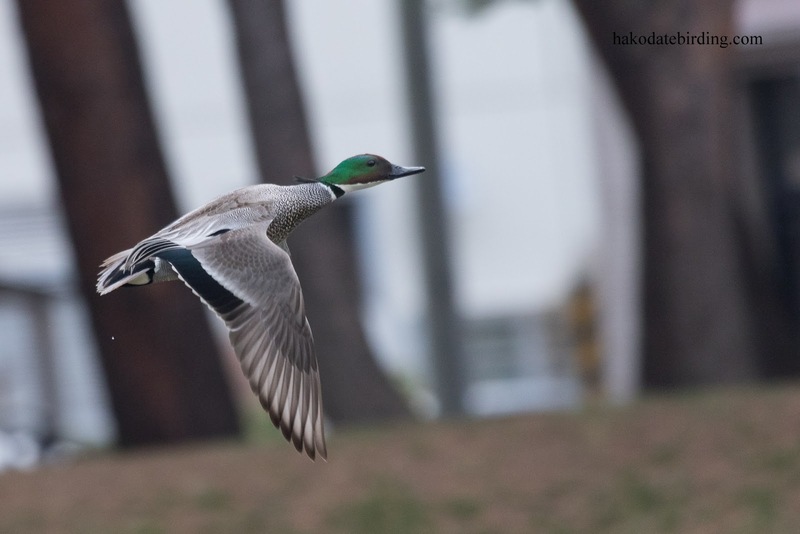 In the same park there was a drake Falcated Duck. It was very wary. It actually fed on the grass for a while with some of the resident Spotbills but it was impossible to approach and kept flying off. 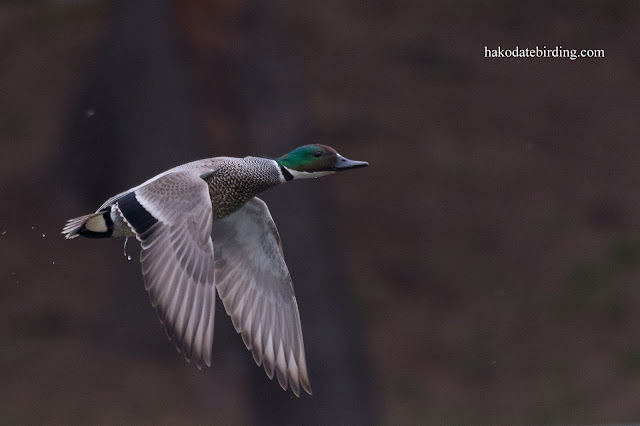 A very dark day, not ideal for BIFs especially with my knackered old 100-400 lens. 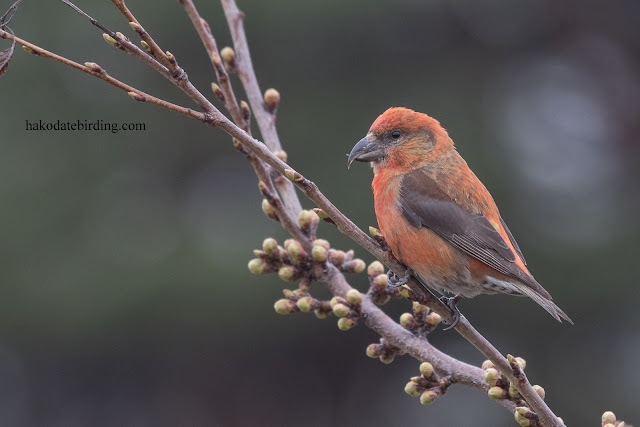 15 Crossbills would be nice anywhere. 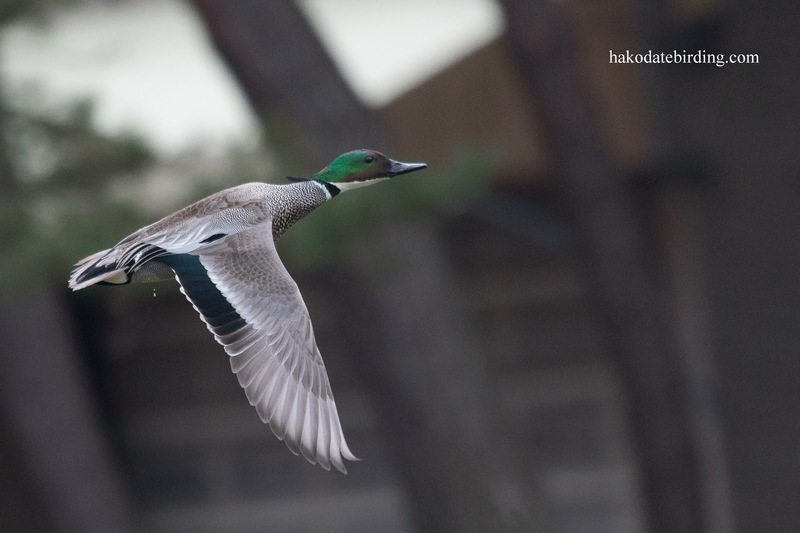 That Falcated Duck would cause a stir over here - smart looking quacker. I would love to have seen the Falcated Duck. 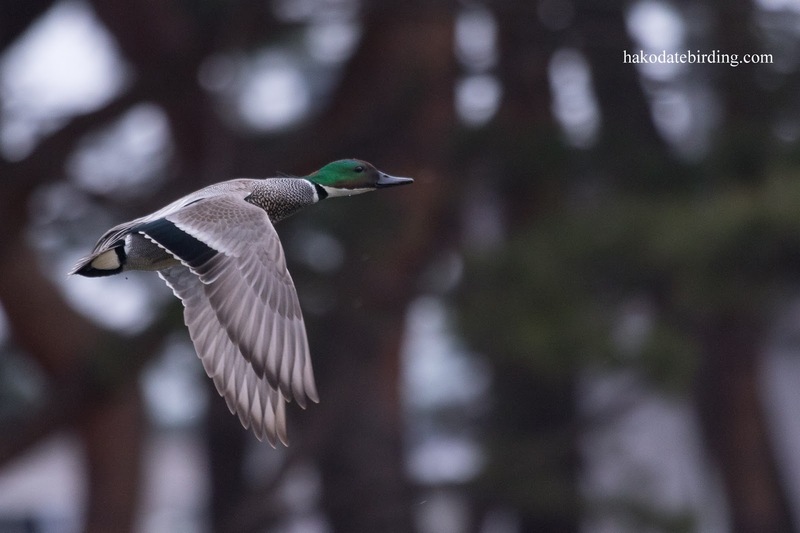 I*ve never seen Baikal Teal, that looks even better I think.